The terms of a nationally publicized class action suit against Denny’s Restaurants called for significantly large payments to several major civil rights organizations. Walls Communications coordinated and managed the press conference that was held in 1997 on Martin Luther King Jr.’s birthday. 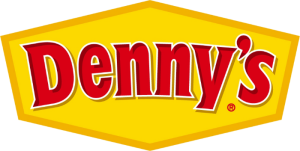 This occasion enabled Denny’s top executives to publicize their role in the new management team and their commitment to a zero tolerance for future discriminatory actions by managers and employees. Representatives from a wide range of civil rights organizations endorsed Denny’s decisive actions. Denny’s Restaurants then retained Walls Communications to provide a wide range of ongoing media relations, community outreach and diversity-oriented services in support of a national multi-year fundraising initiative dedicated to promoting human and civil rights. Walls Communications’ support included audio news releases, radio media tours, and sponsorship management of Denny’s participation at the NAACP Image Awards in Los Angeles, National Urban League Conferences and the NAACP Conventions.